Projections are an indispensable part of home cinema and are also part of everyday life in many occupations. However, if space is not enough, there is a risk of a shadow falling on the screen, or if it is not mechanically possible to set up a projector, short-throw projectors will step onto the screen. They have a special lens and help to project a large picture onto a wall at a short distance. Without going too far, let’s just say that Short Throw projectors have been part of the projector world for quite some time, as they are particularly well suited to small spaces. Ultra-short-throw projectors can be placed even closer to the screen, reducing the risk of someone standing in front of the projector and creating a shadow. The key difference between the two models lies in their design. While the large home cinema projectors and the short throw projectors throw the image directly onto the projection surface, the light element in ultra-short throw projectors is installed upside down: it is inserted away from the wall and illuminates it via a mirror in the housing. Thus, the path of the image is extended, resulting in a large projection within a short distance. Of course, the lens also plays a role in these devices. Therefore, in addition to the projectors with mirrors, there are also those that have a convex lens. The latter distorts and widens the image lossless to obtain a high quality projected image. 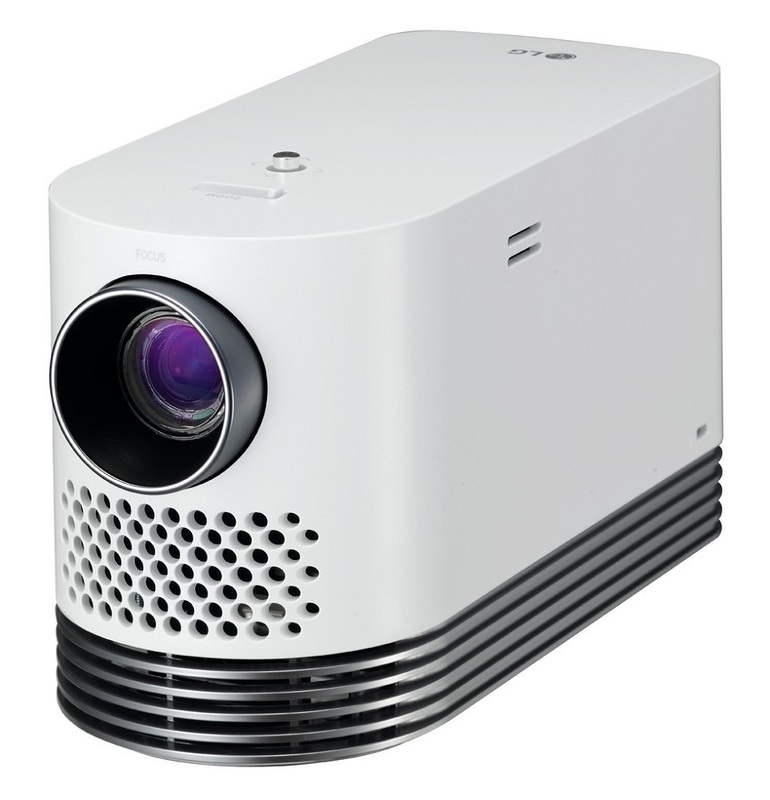 With a lens that has an extremely short focal length – a so-called wide-angle lens – the image of a short throw projector is thrown onto a projection screen. These lenses can be a hurdle as they are the most important component as well as the most difficult to manufacture. If you do not pay attention to a high-quality lens, blurring, distortions or vignetting may occur at the edge of the picture. In addition to the lens, above all, a stable construction is an important prerequisite. Helpful are enclosed brackets to attach the device to wall or ceiling. The image projected onto a white, smooth wall – ready! Also arm mounts are possible. Ultimately, wide-angle projectors can also be placed on the coffee table. If the surface is not even, the image is straightened by the keystone correction of the device. Whereas short-throw projectors can usually display a picture with a diagonal of 1.50 meters at a distance of less than one meter, ultra-short-distance projectors can throw such a picture on the wall even from a distance of 50 centimeters. It is true that each manufacturer owns their own divisions, which must be observed. Thus, when making the installation, it makes the difference to know the projection ratio (that is, the relationship between the image size and the distance from the projector and the wall). In most cases, it is easy to find out how far the projector has to stand away from the screen. Typically, short throw projectors have a projection ratio of less than one. On the technical side, short-distance and ultra-short-throw projectors have similar rules to conventional ones. So take a look at our home cinema projection review. The light sources are the LED technology as in the Epson EH-LS100 and the laser technology, for example, the Sony VPL-VZ1000ES high-end model. They have in common that an image is generated, which is projected through the lens on a direct path to the wall. However, it should be ensured that the distance to the projection surface does not fall below 20 centimeters because only then can a correspondingly large image be created. And of course, as with the conventional models, the greatest effect is achieved in darkened rooms. The larger and brighter the corresponding room is, the more lumens, ie brightness is needed. In addition to the Full HD and the 4K resolution, there are also the XGA resolution (1024 x 768) and WXGA (1280 x 800) in the wide-angle projectors. The latter are especially suitable for presentations. Who wants to project console games and movies with the projector, should stick to the conventional resolutions. 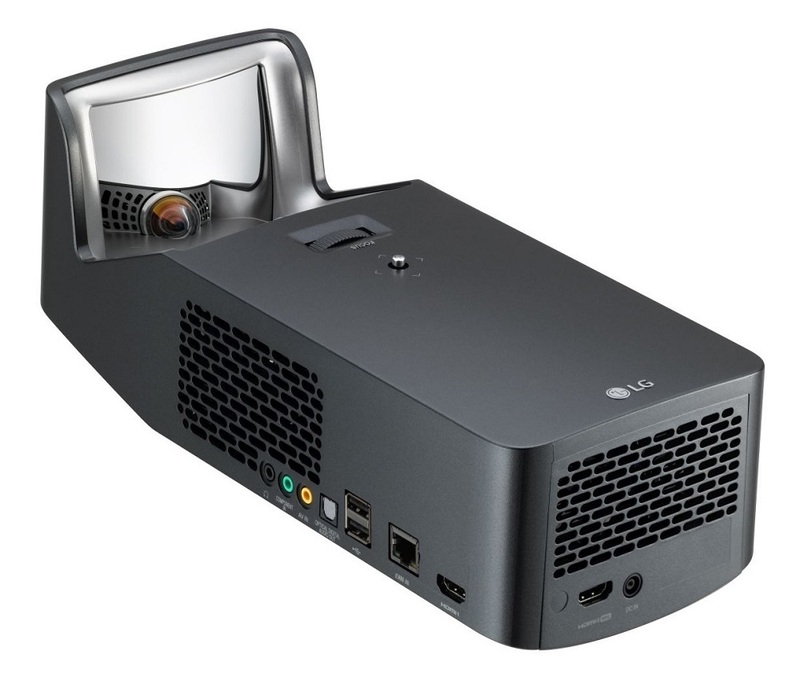 Of course, the short-distance and ultra-short-throw projectors also feature standard and standardized connections such as HDMI, VGA, stereo sound, LAN Ethernet, optical cable, RCA-AV, and in the meantime, USB ports are often available. The difference between the individual devices is usually the number of the respective slots. The big advantage of wide-angle beamers is that they can be placed directly in front of the (canvas) wall. It is also conceivable to project on a ceiling to enjoy the picture lying down. This makes the use of these projectors very individual and gives great flexibility. No matter if you want a big picture in the living room, hosting celebrations and presentations or just watching TV: (ultra) short throw projectors are great for all these purposes.